April 29th marks the one hundredth day of the Trump presidency. The media has been deluged with assessments about what Donald Trump accomplished — or didn’t — during his first one hundred days. But this an outmoded and dangerous way to think about presidential performance. Today, the 100-day benchmark is deeply embedded in American political culture. During the presidential race, both Donald Trump and Hillary Clinton made grandiose promises about what they would accomplish in their first hundred days in office. (Clinton promised the biggest jobs program since World War II.) The media has kept a steady watch on triumphs and setbacks as well. Cable news networks have used “first 100 days” chyrons and countdown clocks for the last several weeks. 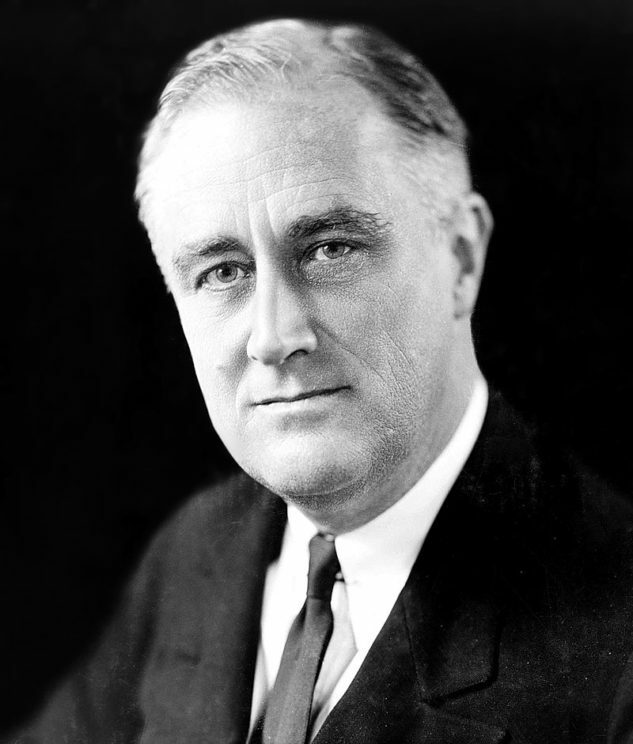 Franklin Delano Roosevelt, Fair Use via the US Library of Congress. The political scientist Richard Neustadt, who had worked for Truman, warned Kennedy against setting unreasonable expectations. But the effort was futile. The benchmark became fixed in everyday conversation about national politics. “The Hundred Days,” one columnist explained in 1961, “are any President’s grand opportunity to create the atmosphere for himself to establish leadership.” Over the next half-century, presidents wrestled with the 100-day standard. If they did not adopt it themselves, others imposed it on them. No president after FDR has faced similar conditions. As a matter of practical politics, no later president has enjoyed such an immense political mandate, or led a nation that was so hungry for strong leadership. And as a matter of policy, no later president has faced such a simple playing field. FDR wasn’t worried about overhauling established policies and bureaucracies. He had a blank slate, and anything he might do seemed better than doing nothing at all. The world is different today. Both politics and policies are more complex. And yet we persist in revering the myth of The Hundred Days. This isn’t just unfortunate: it’s dangerous. It causes presidents and legislators to overload the short-term agenda, and leads them into debacles like the attempt to repeal and replace Obamacare. President Trump should have allowed more time for an overhaul of the complicated healthcare law. But Trump had already added this to his extensive list of 100-day promises. The rush — and eventual failure — has aggravated the public’s disillusionment and its perception that Washington is thoroughly dysfunctional. We ought to be especially wary about the 100-day benchmark today. In an era of political polarization, rushing to action is a bad idea. Not only is it unlikely to be successful. As we have seen since November, it also stokes anxiety within the large bloc of voters who happen to be on the losing side of an election. It heightens their fear that everything they care about is in immediate danger. In 1787, the drafters of the Constitution debated how long the President’s term should be. They settled on four years for good reason. As Alexander Hamilton explained, presidents need time to make and execute well-crafted plans. The 100-day benchmark undermines that logic. Maybe it made sense at one special moment in history, when rapid action was key to national recovery. Today, the 100-day marker doesn’t bring the country together. It drives the nation apart. Featured image credit: 1933 Franklin D. Roosevelt’s First Inauguration by US Capitol. Fair use via US government works. Alasdair Roberts is a professor in the Truman School of Public Affairs at the University of Missouri. 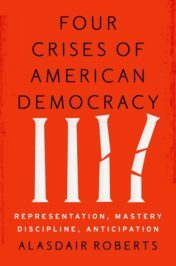 His book Four Crises of American Democracy was published by Oxford University Press in January 2017.